We all know a lady who loves her garden! 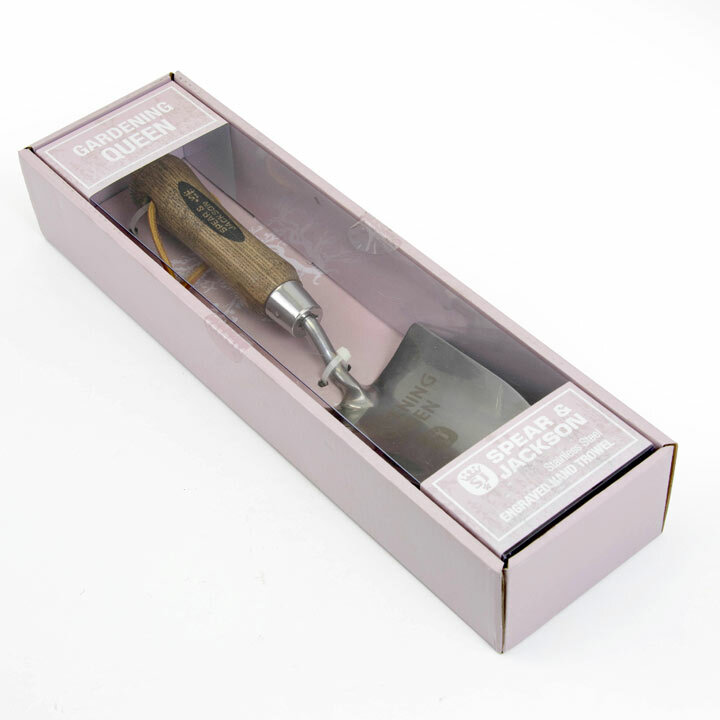 For Gardening Queens everywhere, this traditional stainless steel hand trowel is beautifully gift boxed and etched with 'Gardening Queen' on the back of the blade. 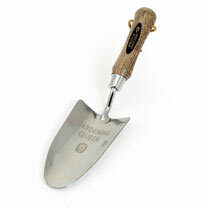 The mirror polished stainless steel head ensures rust resistance and minimal soil adhesion. The hardwood handle is weatherproofed plus features a handy leather wrist trap for storage. 32cm length.